Being a good mother means being present. For me, sometimes it’s physically present, sometimes it’s emotionally present, sometimes it’s both. 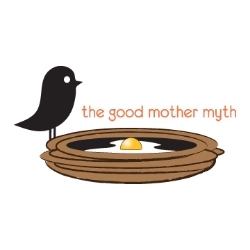 When I’m neither, that doesn’t mean I’m not being a good mother, it means I’m being human. We can’t all be there all the time for our kids, but we must try to be there as much as possible. Sometimes being physically present is enough. There are those days when I pick up my three kids from school, and think, I should engage with them right now and ask a question like, How was the math test? But right now they’re all talking with each other and I just don’t have the energy. Sometimes, even when your urge is to engage, it’s better to listen. As my kids have gotten older, I find I can learn more from keeping my ears open rathern than my mouth. Sometimes being emotionally and not physically present is enough. There’s the phone call from home when you’re out of town, and you answer because maybe someone needs to hear your voice. And sometimes, amid all the scheduling and carpooling and striving that we do on behalf of our kids, we forget that they just want us — all of us. One day last summer my daughter was hanging around me on our patio as I typed away on my computer, trying desperately to finish a piece of writing. I tried not to shoo her away too sharply–she would soon be away at camp for two weeks–but my first thought was “not now.” She had showered and dressed and fastened a fake flower to the side of her wet, blond hair that was pulled back in a ponytail. I handed it to her and looked back at my screen. She sat down at the table next to me and asked if I’d seen a sweatshirt that she needed to pack for camp. She wandered over to the swing and sat. She wasn’t happy or sad, just slouched in the swing with that fuscia flower in her hair, lightly pushing her feet back and forth. I thought about how this beautiful 10-year-old, excited and scared about her first-ever sleep-away camp, would soon be a 10-year-old home from a two-week experience that I will have had nothing to do with, except for write the occasional letter and send a care package, maybe. She would come back changed, even if ever so slightly. She ambled back over to the table, grabbed my phone and started to show videos of her and her sister to our scruffy terrier, Cookie, who lay at her feet. “Mom, look at Cookie watching!” She giggled. And I watched my daughter. It was only a little thing, this moment in which a girl delighted in showing her dog a video, but it was one I was paying attention to. I closed my laptop. Carrington Tarr is a writer and mother of twin girls, 11, and a son, 13. 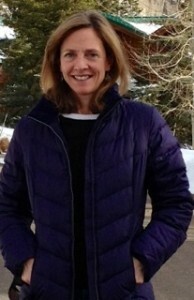 She has written for the Washington Post and Washingtonian magazine and blogs on motherhood and more at carringtontarr.wordpress.com. You can follow Carrington on Twitter as well.